The garlic process machines, garlic separator and garlic peeling machine is finished inspection and acceptance in factory through a third party yesterday, 11 May, 2017. Upon having the customer’s direction, these machines shall be ship at once. 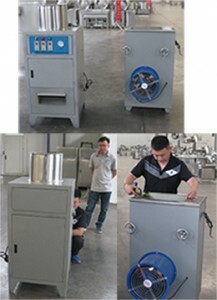 Same to our other potato chips making machine, trust our garlic process machine will work very well in the near future.